Tiffany&Co. has released a new ad to showcase the new interpretation of its signature fragrance, Tiffany Eau de Parfum Intense. 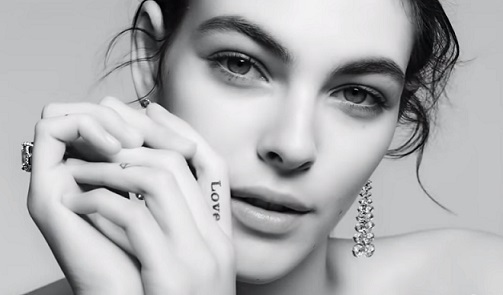 The spot features several models lip singing the word “Love” as the version of “All You Need Is Love” by St. Vincent is playing in the background. Donning a variety of pieces of jewelry from the 2018 Blue Book Collection, as well as the new Tiffany True, the brand’s first new engagement design in nearly a decade, which is as pure and considered as the original Tiffany Setting, the women, who apparently don’t wear any piece of clothing in the upper part of their body so that they could shine a light exclusively on the jewelry, also hold a bottle of the new Tiffany Eau de Parfum Intense. The scent, developed by perfumer Daniela Roche Andrier, has top notes of Verte de mandarine and pink peppercorn, middle note of noble iris, and base notes of amber and benzoin. Coming in 1.0-, 1,7- and 2.5-ounce bottles, with prices ranging from $82 to $113 to $142, the fragrance also offers customers the chance to engrave the bottle with up to three letters. The company actually offers monogramming, engraving and hand engraving services at prices that start from $25 per-item when it comes to standard engraving and go up to $60 per item as monogramming charge.